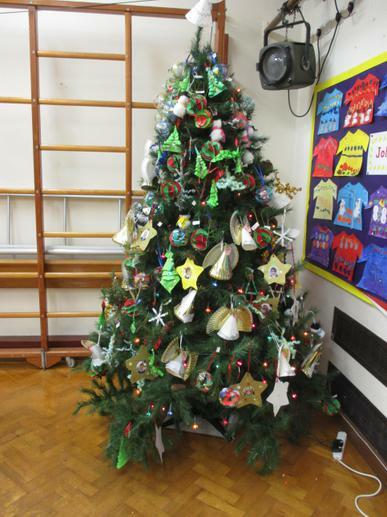 We have a very long standing tradition at Northop Hall CP School of holding a Tree Decorating service each year, where every child in the school makes a tree decoration and places it on our main school Christmas tree. 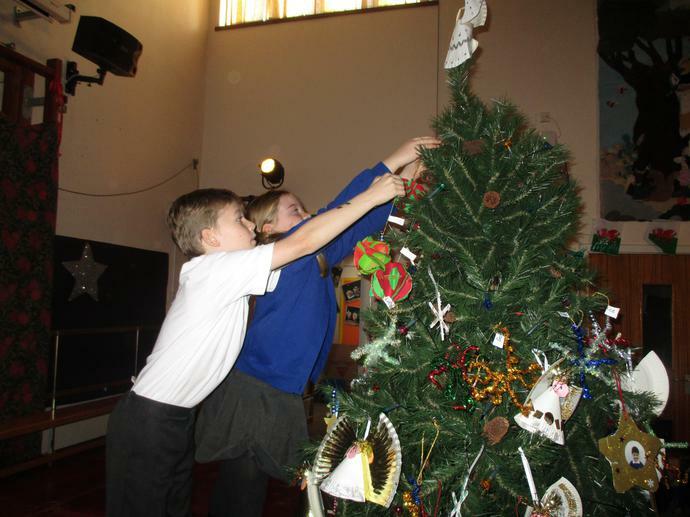 From Angels to Snowmen and Snowflakes to Baubles, the children have worked so hard to make the tree special. 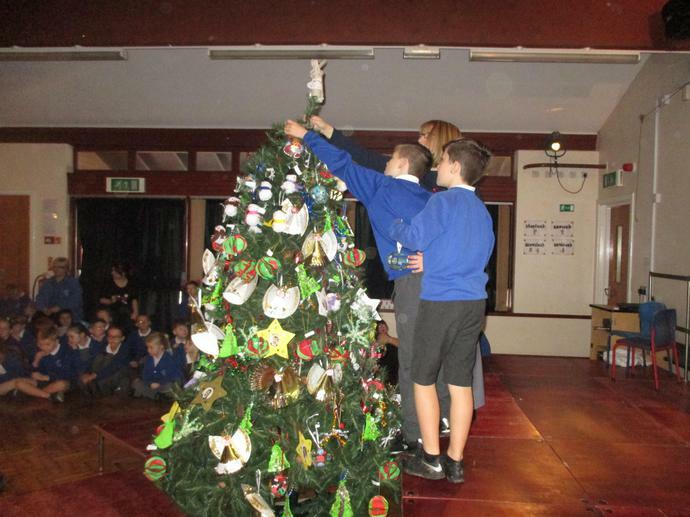 Once all the decorations have been placed on the tree by each pupil, we turn out the Hall lights and turn on the tree lights. 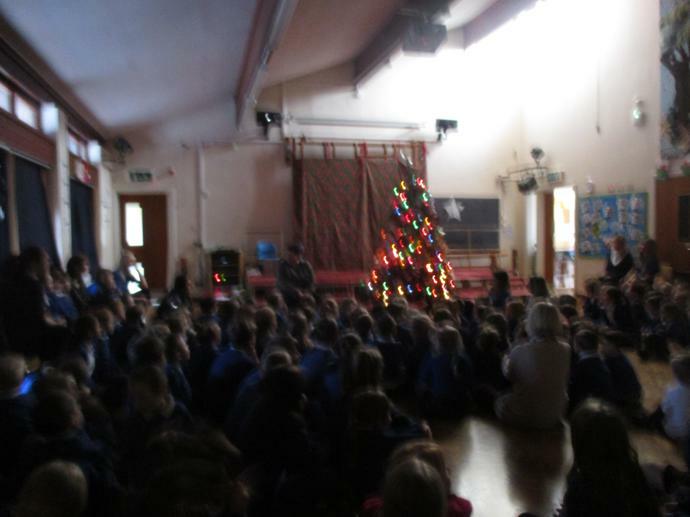 A beautiful 'Ahhhhh' spread across the hall as our special tree was illuminated. A story about a Christmas tree is told and a Christmas song is sung to bring our service to a close. What a special time it was yet again this year! Well done to everyone for all the hard work making the tree look so amazing!